After warning that up to 150,000 video customers would flee this quarter, the U.S. cable titan lost some $11 bln of market value. Disney similarly spooked investors two years ago about ESPN. 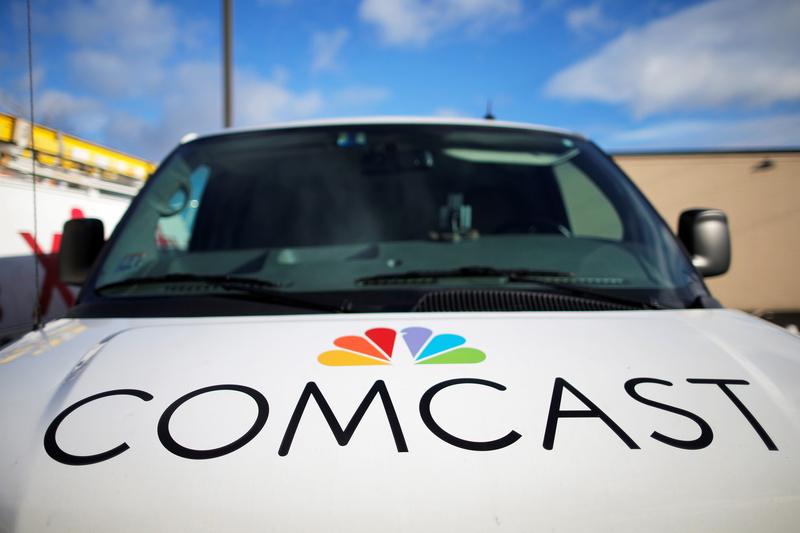 The Comcast selloff intensifies pressure on CEO Brian Roberts to solve for wireless. A technician's vehicle sits in the parking lot at a Comcast facility in Lawrence, Massachusetts, U.S. January 25, 2017. Comcast expects to lose between 100,000 and 150,000 video customers in the quarter because of competition and hurricane storms, said Matthew Strauss, executive vice president of the company's Xfinity Services division, at a Bank of America conference on Sept. 7. Following the comments, Comcast shares fell 5 percent to $39.12 apiece.